January is National Eye Care Month. It is also National Glaucoma Awareness Month. This means it’s time to schedule your annual eye exam. It is important, at any age, to have your eyes checked. We asked our own Nurse Gina why it’s important and she gave us these reasons. Early Detection: Your eyesight can change in a year so seeing your Ophthalmologist each year will allow you to find out if there are any deformities early on in their development. Addressing eye health issues before they become more severe is a good thing and early treatment will minimize damage to your eyes and vision. Protecting Your Future Vision: As we age, we start to gradually lose our vision. The longer you go without an eye exam, the harder it will be for your Ophthalmologist to correct the vision loss. Health Issues: A routine eye exam can help detect signs of serious health conditions, like diabetes, a brain tumor, or high cholesterol. Because symptoms of health conditions often don’t appear until damage has already occurred, eye exams are a great way to keep tabs on what’s happening in your body. Your eyes are the only place in your body that provide a clear view of your blood vessels, arteries, and a cranial nerve which can tell your doctor a lot about your overall health. Reduce Eye Disease, Glaucoma: More than 3 million people in the United States have glaucoma. The National Eye Institute projects this number will reach 4.2 million by 2030, a 58 percent increase. Glaucoma is called “the sneak thief of sight” since there are no symptoms and once vision is lost, it’s permanent. As much as 40% of vision can be lost without a person noticing. Glaucoma is the leading cause of preventable blindness. January is National Glaucoma Awareness Month. Join us over on Facebook as we share facts and information about this preventable eye disease. Quality of Life: Good visual health is critical to your quality of life. It allows you to see the world around you and enjoy everyday activities like driving, reading, watching TV, and playing sports. According to the National Eye Institute, more than 11 million Americans have an uncorrected visual impairment that can impact their quality of life, and in some cases lead to more serious eye conditions. That’s why it is important to see an eye doctor regularly. Thank you Nurse Gina. All great reasons. Now, let’s all go call our eye doctor and make an appointment. My sister’s eyes are not doing well and she wants to have it fixed before she goes to college. 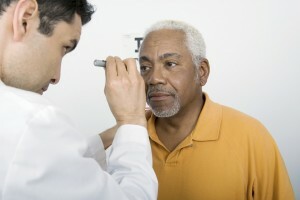 It was explained here that a routine eye exam will help detect eye conditions. Furthermore, it’s advisable to go to trusted ophthalmology for best results. That is really scary that almost 40% of your vision can be lost due to glaucoma without you even noticing. This is why getting annual eye exams is so important. If you have a family history of eye issues I would go more frequently. Eye test is so imporatant. People who has eye issues should try isotine eye drop, it is helpfull in improving eye sight or restoring lost vision in the following incurable eye diseases. This is some really good information about eye doctors. It is good to now that going to the eye doctor will help you figure out if you have an glaucoma. That is good for my parents to know because they haven’t been to an eye doctor in years.